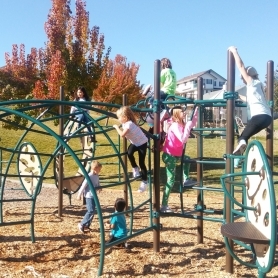 The After School Childcare program runs Monday through Friday from 2:45 pm - 5:30 pm at Franklin, Jefferson and Sunnyside elementary schools in Pullman during the academic year. The program also offers half day and full day programming for school holidays. These programs are for children ages 5-12 years of age. Volunteers give homework assistance, interact with children during recess, have opportunities to teach the educational curriculum and gain valuable experience working with school-age children. We ask that all volunteers commit to at least two days per week over the course of the semester, rather than completing a set number of hours and leaving the program. To apply, you will need to turn in a volunteer application. This application can be turned in to the Y office or emailed to volunteer@palouseymca.org.